On the eve of this week’s meeting of a World Intellectual Property Organization committee on genetic resources, an expert group met behind closed doors to discuss some of the more difficult issues. The report of the expert group to the full committee on 25 June confirmed differences but also common views and avenues to be explored, and has been carried into the week. The 36th session of the Intergovernmental Committee on Intellectual Property and Genetic Resources, Traditional Knowledge and Folklore (IGC) is taking place from 25-29 June. The Ad Hoc Expert Group on Genetic Resources met at WIPO on Sunday 24 June. The list of participants at the expert group is available here [pdf]. On 25 June, the two co-chairs of the expert group, Pedro Roffe, senior fellow at the International Centre for Trade and Sustainable Development (ICTSD), and Krisztina Kovacs, policy officer at the European Commission, delivered a summary of the discussions held in the group. The Ad Hoc Expert Group, Roffe said, was asked to address four specific subjects: subject matter of a potential international instrument, disclosure requirement, databases, and due diligence mechanisms. The group was invited to support and facilitate the negotiations of the IGC, and provide advice and analysis on the four issues addressed, he added. Kovacs said participants discussed whether the instrument should apply to any intellectual property right, or only to patents. Most discussants said patents were of primary importance, but other rights such as plant variety protection, trademarks, and geographical indications could also be implicated. Some others, she added, suggested that other relevant WIPO committees than the IGC could address IP issues other than patents. The group also discussed whether the potential instrument should cover only genetic resources (GRs) or GRs and associated traditional knowledge (TK). No common understanding was met on this question, she said. The disclosure issue clusters several questions, including what would trigger the need to disclose the origin of a genetic resource in an IP or patent application. Roffe said a variety of views were expressed, in particular whether the instrument should use a broad or a narrow trigger, and the appropriate language to designate such trigger. A broad trigger would be phrased as “utilisation of” for example, while a narrow trigger would rather use language such as “directly based on,” Roffe explained. A second question is about the content of disclosure. Kovacs said that most experts agreed on the need to disclose the country of origin or source, but some remarked on the imperative of not burdening users or IP offices. Some experts pointed out the rights of traditional knowledge holders, she said. Citing a recent study, it was suggested that the establishment of an internationally accepted certificate of compliance could be a solution, she said. The last question on disclosure was about the consequences of non-compliance, and in particular whether non-compliance with a disclosure requirement would affect the validity of granted patents. A number of experts said that a third-party dispute mechanism could bring legal certainty and solutions. This mechanism would be balanced and take into account the views of all key stakeholders, he added. During the discussions, Roffe said, experts exchanged on pre- and post-grant consequences, and some agreed that strong deterrents are needed as a consequence of non-compliance, but most experts said the revocation of a patents should only be considered as a measure of last resort, and be applied for wilful violations. Patent owners found in a situation of non-compliance should have the opportunity of corrective actions, most experts argued, he said. Kovacs said the expert group agreed that databases are useful but some concerns were voiced on the appropriateness of a defensive prior art approach in the case of traditional knowledge databases. According to Roffe, experts discussed due diligence mechanisms aiming at verifying that GRs have been accessed in conformity with national and regional access and benefit-sharing systems. Such mechanisms could be defensive, complementary, or supportive, the experts found, and some remarked on the need for mutual supportiveness of a new instrument with existing international treaty, including the Nagoya Protocol on Access to Genetic Resources and the Fair and Equitable Sharing of Benefits Arising from their Utilization to the Convention on Biological Diversity, Roffe said. The discussions on due diligence measures inconclusive, he added. 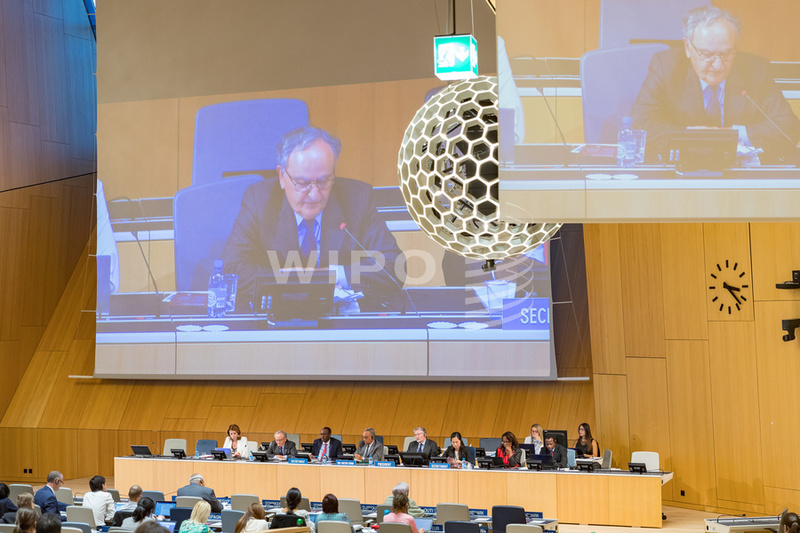 "WIPO Genetic Resources Expert Group Ponders Disclosure Requirement, Databases" by Intellectual Property Watch is licensed under a Creative Commons Attribution-NonCommercial-ShareAlike 4.0 International License.